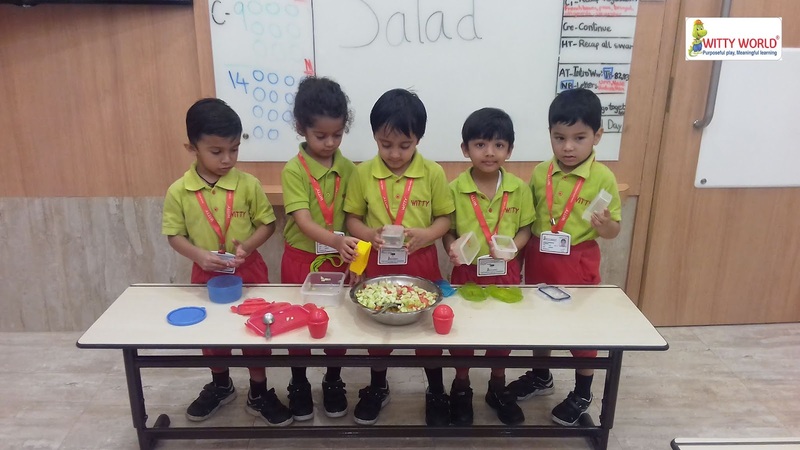 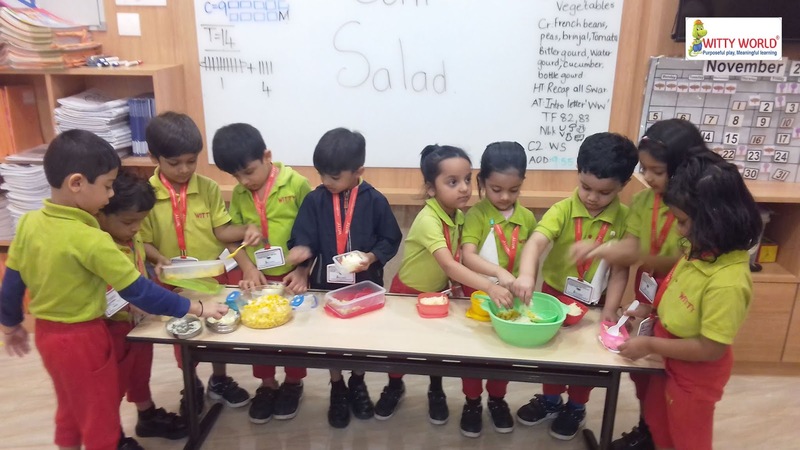 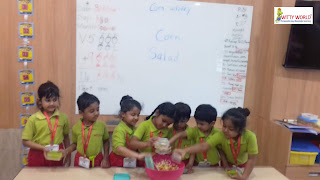 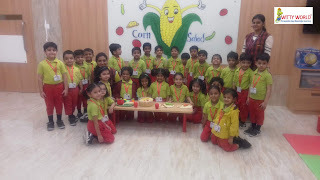 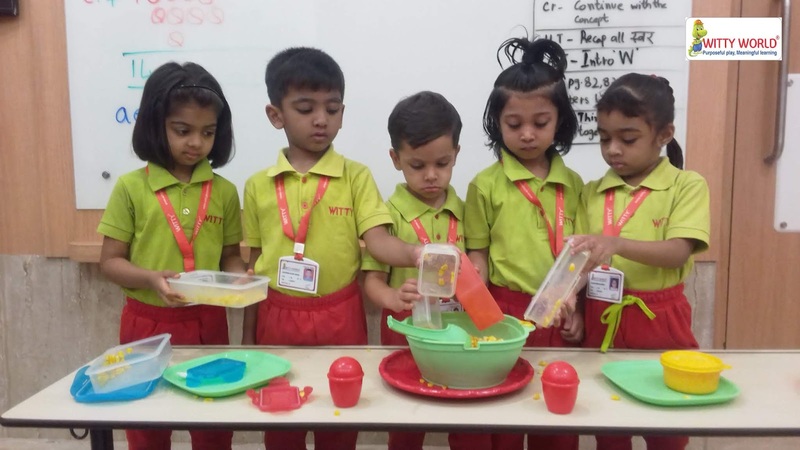 At Witty World the little chefs of Junior KG section, enjoyed making Corn bhel on Friday, 30th November 2018. 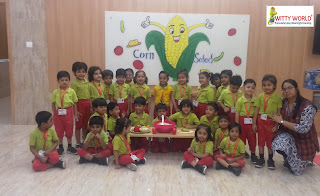 Children brought boiled corn, chopped tomato, chopped cucumber, cheese and chat masala in their tiffin. 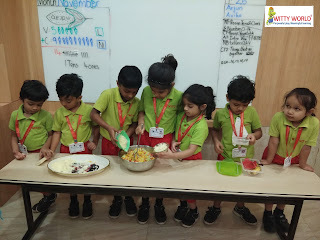 During tiffin time children with the help of teachers mixed the ingredients one by one in a bowl. The presentation was mouth-watering. They enjoyed sharing and eating the corn bhel with their peers and were pleasantly amazed to see how easily such a tasty and colourful dish could be made with the simple ingredients they had brought. Cooking is not only lots of fun but also a valuable learning experience for our little Wittians.